A Sport England funded project that Active Derbyshire worked on alongside Lincolnshire Sport, Active Notts and Northamptonshire Sport during 2016/17. Derbyshire Sport worked with local organisations, including sports clubs, voluntary services and schools in order to try and get more disabled people volunteering in sport. Training and recruitment took place throughout the project to help create a welcoming environment for volunteers. The project saw 33 volunteers recruited and 24 deployed into placements; over 100 people booked onto a subsidised training course. A volunteer recruitment campaign took place within 'Inclusive Volunteer Month' in June to encourage disabled people to volunteer. Our IMPACT Ambassador, Matthew Dalley put together the video below that explains his story of volunteering and why he encourages to get involved themselves. Matthew is 22 and a Para-Equestrian rider who has gained many benefits from his own volunteering experience at his riding club where he started helping in the yard and now runs the club's social media and website. 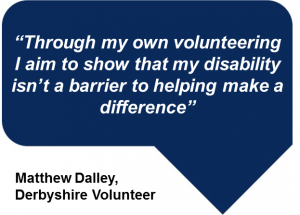 Disabled volunteer Matt Dalley explains why helping out at his club, Scropton Riding for the Disabled Association, has been so rewarding - and how he hopes his story will inspire others to volunteer through the new IMPACT project during June's Inclusive Volunteer Month. 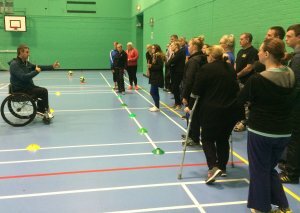 Adapted Physical Activity course at Greenbank Leisure Centre in Swadlincote. Wheelchair basketball one of several sports keen to recruit more help through the IMPACT project during June's Inclusive Volunteering month. 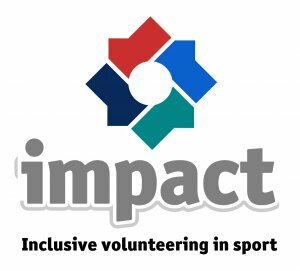 Read how the IMPACT project helped local clubs such as Belper Hammers Volleyball Club to assess how they manage volunteers with a disability as well as how young people from Stubbin Wood School benefited from an outdoor based volunteering experience. Hear from the students themselves about what they enjoyed about their volunteering experience. If you are interested in finding out about volunteering opportunities, visit our volunteering search, click here.